The Market at DelVal is a huge farm market on the campus of Delaware Valley University filled with produce & fabulous food that's been grown there or locally made - like raw honey, DiBruno cheeses, Dr. Baker Kombucha, Castle Valley Flour, Griggstown Farm Pot Pies, Tallutos Pasta, Raymer’s Homemade Candies and more. They offer pick-your-own crops seasonally: strawberries, peaches, apples, and pumpkins. They also carry a full line of Rose Bank Winery wines which are produced and estate bottled on site at the winery in Newtown, PA. Their French-American hybrid and viniferous grape varieties make crisp, fruity, French style wines that appeal to every palate. And pour some seasonal brews as part of Fall Fest. They also serve up homemade sandwiches, entrees, side dishes for breakfast, lunch and take-home meals. And the Bakery serves fresh breads, donuts, cakes, cookies, granola, biscotti, cakes and specialty desserts all made daily on the premises by Confection Perfection. They've been making their own super premium, hand-dipped ice cream at Shady Brook Farm since 2007, using only the highest grade milk and other delectable ingredients. Now you can enjoy Uncle Dave’s Homemade Ice Cream at the DelVal Creamery onsite! 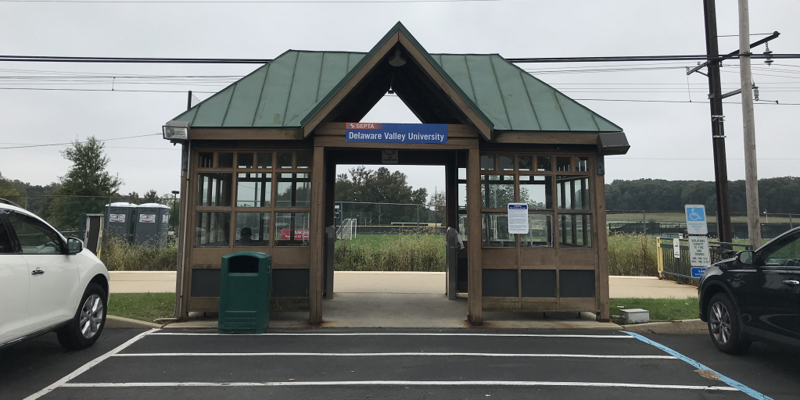 What we most love about The Market at DelVal is that you can get here on SEPTA - Delaware Valley University is a stop on the Lansdale/Doylestown Line. 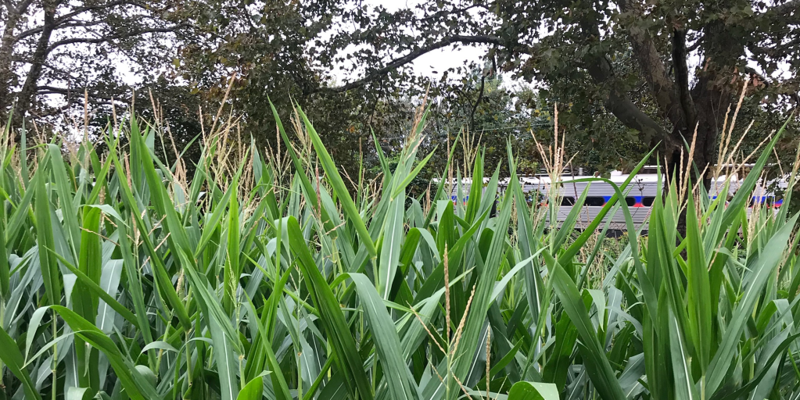 The Market at DelVal is a short and very scenic walk through campus. Less than a mile (.7) and about 14 minutes. 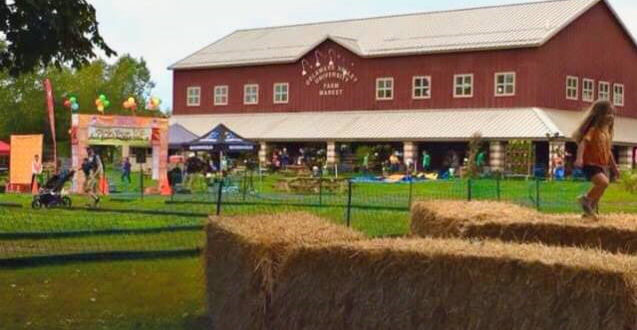 🎃 🎃 Fall Harvest Fun – Saturday & Sunday starting at 11a Come enjoy a day down on the farm! 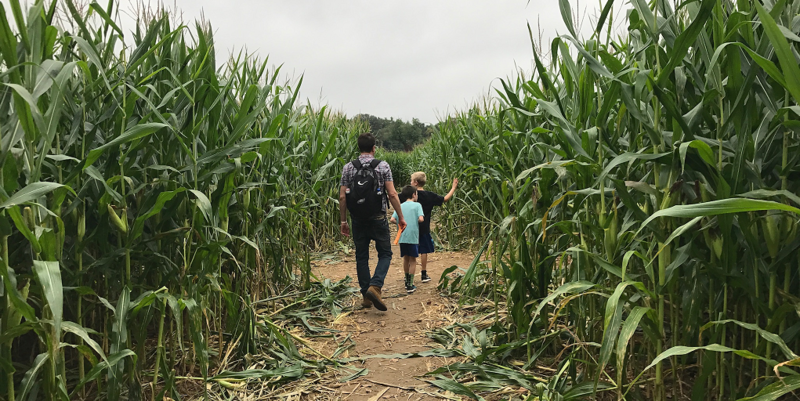 Admission is $10/person and includes: Wagon rides to the pumpkin patch; Pumpkin picking; Inflatable attractions; Giant corn maze; Pedal go-carts; Mini Golf; Hay bale run, and ALL NEW Cow Train! 🏃‍♀️🏃‍♂️ The 3rd Annual Fall Harvest 10K, 5K & Kids’ Fun Runs Saturday at 9 am – Don’t miss their 3rd annual Fall Harvest Run at The Market! Participants get FREE admission to Fall Fest & a FREE scoop of Uncle Dave’s Homemade Ice Cream or a locally brewed craft beer (over 21) on Race Day. A portion of the proceeds benefit the Life is Good Kids’ Foundation. Click HERE to sign up! 👮‍♀️👮‍♂️ Service Saturday – Saturday from 11a to 3p Join The Market at DelVal in recognizing all first responders and armed forces who serve our community. All service heroes will be recognized with one FREE pass to Fall Fun and $1 discount per family member. Service heroes include police officers, firemen, EMTs; and active, reserve and retired military. Just show ID for discount. 🚗🚘 Trunk or Treat – Saturday from 2 to 4p Trunk or Treat is a unique, fun and safe way for kids to trick-or-treat. Vehicles will park in the field, open up their decorated trunks, and kids go from trunk to trunk for treats. Come on out for a spook-tacular time! To plan your trip on SEPTA - click here. The rest of the fun is up to you! !